Hotel Gracery Shinjuku was built in the heart of Shinjuku’s Kabukucho entertainment district in 2015. At 30 stories, it towers above the surrounding buildings and offers great views from the top floors. 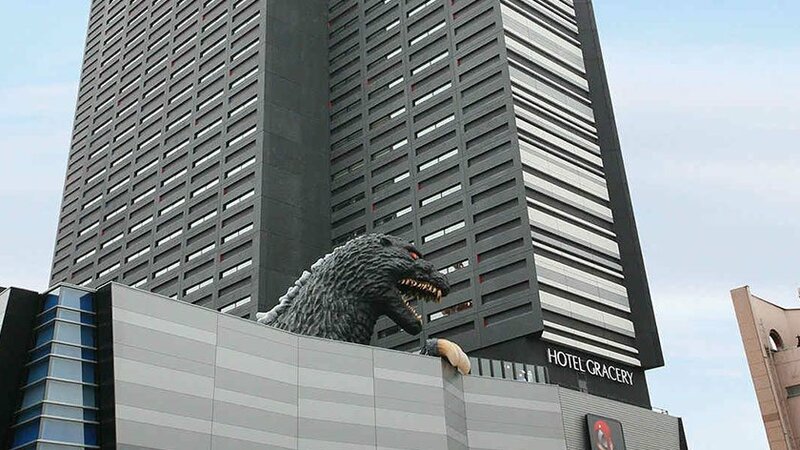 While it’s height makes it stand out, the large replica of Godzilla on the roof makes the hotel a landmark that draws visitors looking for great picture opportunities. All rooms have free wi-fi and mobile phones are available for rental. There is an Italian restaurant on the 1st floor and a cafe lounge on the 8th floor. 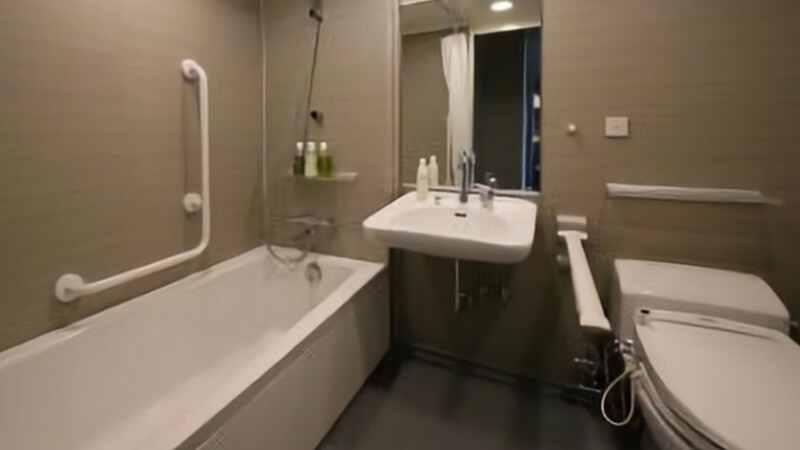 Hotel Gracery Shinjuku has one wheelchair accessible room. 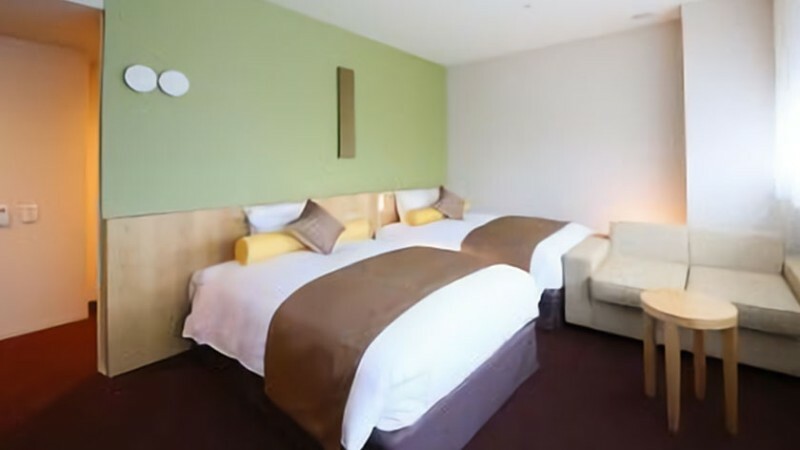 The twin room is 35m² and located on the 8th floor, conveniently close to the lobby and cafe. The door to the bathroom slides open and there are plenty of handle bars.